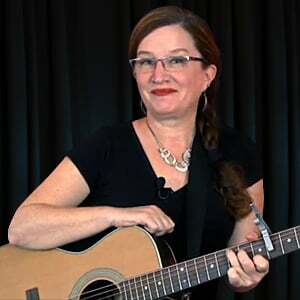 In this lesson, we'll put your chord-change strategies to work to determine the best ways to navigate between the chords that appear in the key of D.
Remember, the minor chord most likely to show up in the key of D is the Bm, so be sure and take plenty of practice time and use your strategies to get comfortable enough with that particular chord change that you can function with it within a song, even if your tone is not yet 100%. Of course, when you are playing a song in the key of D, the chords could fall in any order. But you have a good understanding now of all the strategies you can use to navigate whatever chords changes present themselves to you out there in the real world!